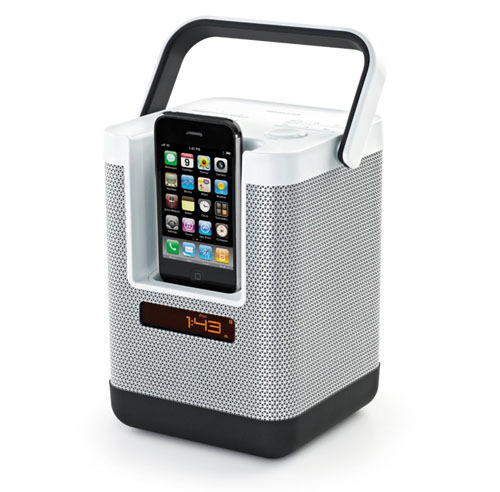 This multi-directional Sound System for iPod and iPhone powers and charges your devices. It has digital AM/FM radio with presets, and includes AC adapter and rechargeable lithium-ion battery that provides 4 to 6 hours of continuous play. The Memorex Party Cube comes in white and black, and is great for outdoor use.